RooterNow is a local plumbing company servicing the Greater Charleston, SC area. 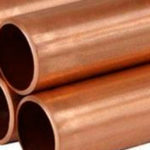 The plumbing pipes in your Johns Island home or business work as the veins in your plumbing system. If something is incorrect with your pipes, then it’s going to have an effect on all of your plumbing. Issues with your plumbing pipes can end up causing several issues, including excessive water charges or water damage. Even small problems, such as leaking faucets, shouldn’t be overlooked. If you think that there is a problem with your plumbing pipes, then you should call RooterNOW for plumbing pipe repair in Johns Island. RooterNow has served the Johns Island area for over 15 years and we have built-up a reputation for our quality and service. Our specialized plumbers will do a systematic inspection of your sewer line in order to recognize any problems and to offer you with an exact approximation for your sewer line repair. 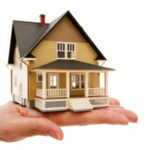 So if you become aware of any of the aforementioned signs, then you may be facing a clogged line or a broken sewer line. If so, you should contact us right away in order to schedule a specialized camera inspection. At RooterNOW, we provide a full range of plumbing services to tackle any issue you may be facing. 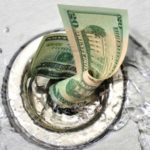 Whether you’re presently dealing with a strictly clogged drain, a malfunctioning water heater, or a broken sewer line. our team of Johns Island plumbers are ready to help. Contact the team at RooterNow of Johns Island to setup an appointment with our experienced plumbing technicians to discuss and resolve plumbing issues in your Johns Island home or business. Give Us a +1 On Google! RooterNOW® licensed plumbers offer exceptional plumbing services with outstanding customer service in Charleston SC. Discover the difference of reliable and honest plumbers with a name you can trust.